Yesterday, I returned to the scene of the crime. No, I didn't murder anybody (that I know of). 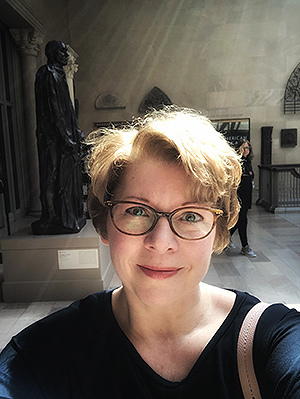 But yesterday, I decided to have an outing at the wonderful Art Institute of Chicago, where I was inspired, over ten years ago now, to write my very first historical novel, Alice I Have Been. Have I ever told you that story? No? Well, pull up a chair, but I promise it won't take long! Back in 2008, I was in a rut, career-wise. I had published 2 contemporary novels under my actual name (Melanie Lynne Hauser), but they had not done well, my publisher had dropped me, and I was finding it very difficult to get back into the publishing industry. I'd written several novels that nobody wanted to publish. I was, as I said, in a rut. One day, however, I did the smartest thing I've ever done in my life. I pushed myself out of my chair, showered, got dressed, put on makeup (it'd been a while, to be honest), and took a train from my suburban home into Chicago, to spend a day at the Art Institute. I only wanted to get outside, see some pretty pictures. That was all. Instead, I stumbled across the inspiration I needed to revive my career. For at the Art Institute that day, there was a traveling exhibit called "Dreaming in Pictures; the Photography of Lewis Carroll." I had no idea Lewis Carroll (real name; Charles Dodgson) had ever taken a photograph in his life, let alone pioneered the art of photography in the Victorian era. I went into this room—in the basement of the building—and was completely startled and captivated by all the old photographs of young children, particularly little girls. It was, to my modern mind, rather creepy, to be honest. (Once I learned about Victorian photograph, it was less so.) But one photograph in particular caught my eye and brought me to a standstill; it was a photograph of a little girl, looking startlingly modern. 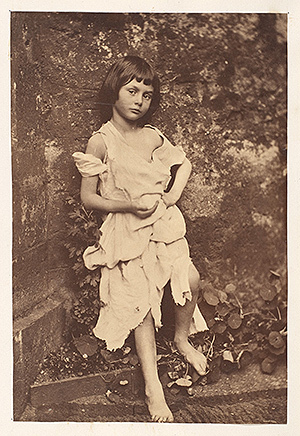 The caption said it was the photograph of 7-year-old Alice Liddell, who was the real-life inspiration for "Alice's Adventures in Wonderland." I was fascinated by the photo and by the relationship between the subject and photographer. I went home and researched it, discovering the scandal behind the writing of this beloved book, and thought, "Now, that would be a good idea for a novel!" I wish I could say I started writing it right then, but I didn't. I forgot about it, for nearly a year. It took a visit from my friend, another author, Nicole Hayes, to finally convince me to write this novel; she visited from her native Australia the following summer, and we went to the Art Institute. While we were there, I told her about that exhibit a year ago (it was long gone), and the story about the photo and the girl and the author, and she said, "That's the book you have to write." And so, finally I did. And that's the story of how I became Melanie Benjamin, author of historical fiction. Yesterday, I revisited the Art Institute; I go often, just in case. Because you never know when, or where, you're going to find inspiration. P.S. 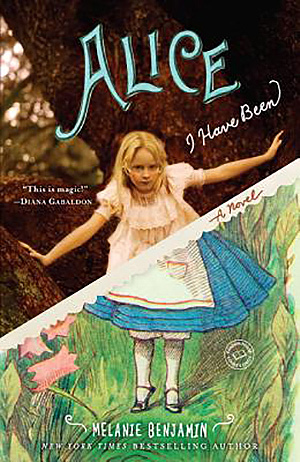 To find out more about Alice I Have Been and my other 4 historical novels, click here. P.S.S. Was this newsletter forwarded to you? Subscribe to my newsletter here.